IMCDb.org: 1972 VAZ 2102 Zhiguli Kombi in "T.I.R., 1984-1985"
Yes, I simplified it too. Eastern Europe are for me Comecon countries and Yugoslavia. I don´t know what model year is this Lada, so it can be Zhiguli or Lada. In Czechoslovakia they were sold as Zhiguli till cca. 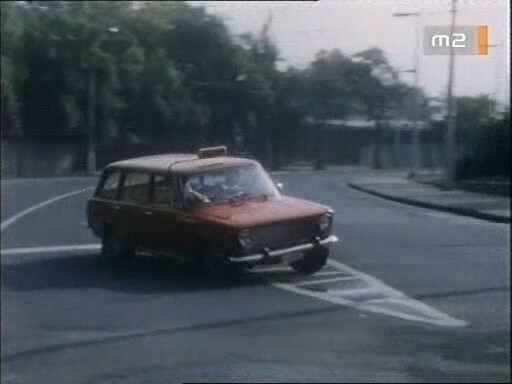 1975, and since 1975 Lada 1200 Combi. But I have owners manual from 1977 and there are called VAZ 2102. Well there was a couple disscussions about these names. It is good info with this year when the name/make has been presumably changed in CS. Edit: in Merkur brochure wagon is called "Kombi" in H.